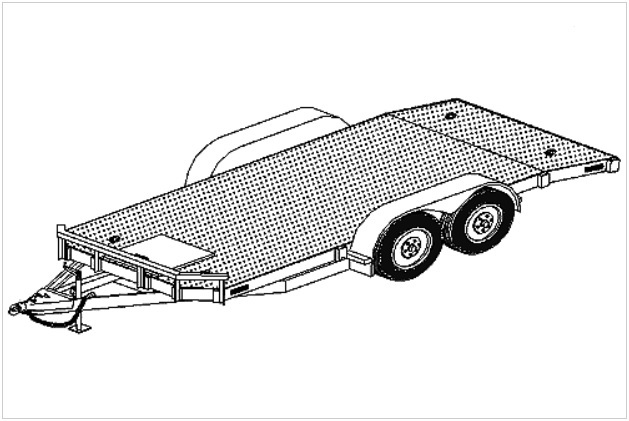 18' Car Carrier Trailer Plans. Click More Details below for specifications. Bed Size: 18" x 80"
Features: 2" ball coupler, side wind jack, tandem 3500lb or 5200lb axles w/ leaf spring suspension, slight dove-tail with ramps for easy loading, tie down D-rings with inset tool storage box, front square tubing bump rail, designed to meet state max. width of 102".